The objective of the National Construction Safety Officer (NCSO™) program is to provide verification of a nationally recognized level of competency in relation to construction safety. *Courses taken at any of the CSAM conferences can be reviewed and applied to qualify towards two required electives. 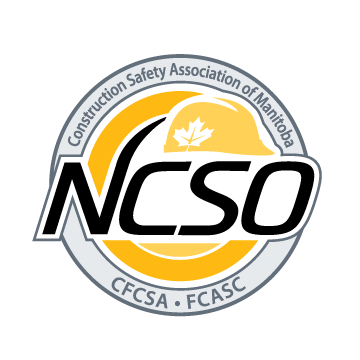 Upon completion of the mandatory courses, two elective courses and submission of documentation an individual may apply to the Construction Safety Association of Manitoba to write the final examination required to obtain the standing of National Construction Safety Officer. The NCSO™ designation expires after three years. In order to renew your designation you will be required to submit a current COR™ Company Audit, Toolbox Talk/Training Session and a Jobsite Inspection/Hazard Assessment. If you fail to submit the documentation on time to CSAM you will be required to re-write the NCSO™ exam along with submission of documentation. Fee for the NCSO™ Exam is $50.00.